Suitable for: This version has no LPF installed. It is therefore ideally suited to 2nd Rx functions on radios which have VHF and UHF bands on them, such as the Yaesu 817/847/857 and 897 series. These radios all use a common 1st IF, which means that picking up the tap point just before the first mixer gives you access to the RF signal on all bands that the radio covers. This is more difficult on those radios that do not use a common 1st IF, such as the Kenwood and Icom all band offerings. 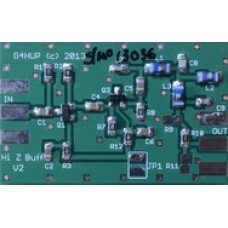 The Panoramic Adapter Tap Board (PAT Board) is an assembled Printed Circuit Board, which connects the IF signal from a Radio Receiver or Transceiver to the Antenna Input of the SDRplay RSP1, RSP2 or RSP2pro Software Defined Radio (SDR) Receiver, or another type of SDR Receiver covering the IF Frequency in question. The PAT Board allows for the display of Received Signals on the Computer screen connected to the SDRplay Receiver. You can also use the SDRplay as a Second Receiver in addition to the Frequency displayed on the main Dial of the Radio. For more information on the PAT board, supported Radios and appropriate installation kits, check out the following document: Which PAT for your rig? Make sure you are comfortable to carry out the installation, which may void the warranty of your radio. Be aware that if you tap the 1st IF Filter after the 1st IF roofing Filter, the Panoramic Adapter Bandwith will be limited to the bandwidth of the 1st IF Roofing filter fitted on your Radio. If you tap the 1st IF before the 1st IF roofing Filter then you may obtain much wider Displays of 200 KHz or possibly more. Use of 2nd Receiver function requires tapping the IF Signal before the 1st IF Roofing Filter in conjunction with the HDSDR Application Software and requires specialist settings in the HDSDR Options menu as shown in the you tube video by K4AX. It may also require a PC to CAT Interface Adapter to control your Main Radio from the Computer used. 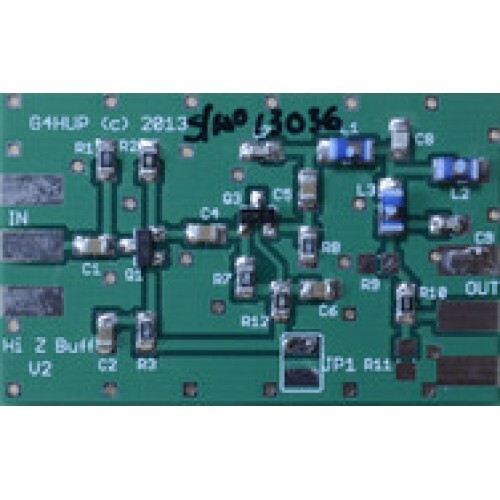 Disclaimer: To install this board you need to open up your radio and make connections to the signal path and power supplies. You also need to either install a connector or route a cable out through the rear panel. This may invalidate any warranty on your radio, and no liability is accepted by SDR-Kits or hupRF for any damage caused while installing or operating this product in your rig.